Abla Fahita relaxes with one of the Top Ten Frequently Challenged Books of 2015. 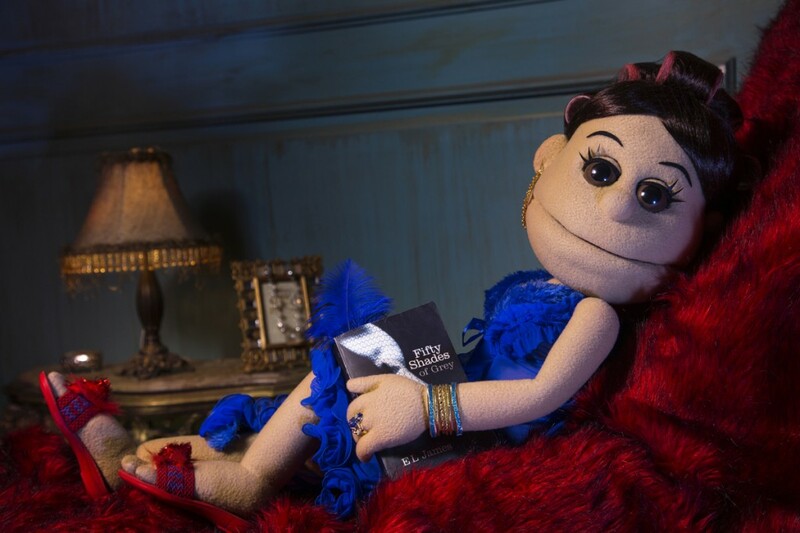 A wildly popular satirical puppet who appears on Egyptian television is being called into court on June 26, accused of “violating public morality” with her bawdy jokes. The case against Abla Fahita (Aunt Fajita) was brought by lawyer Samir Sabry, who is well-known for introducing frivolous lawsuits. Abla Fahita dispenses humorous political commentary on her weekly TV show on CBC, a satellite channel, and has garnered more than half a million Twitter followers. Despite her obvious popularity with Egyptians, Sabry claims that her ribald humor “runs contrary to the values and ethics of Egypt.” The charge of “violating public morality” is the same one that recently landed novelist Ahmed Naji in prison for two years. Abla Fahita’s creator is anonymous, and it is unclear whether they will be forced to reveal their identity due to the court case.